Necklace setting #7802 is an empty jewelry setting for use with Swarovski crystals. 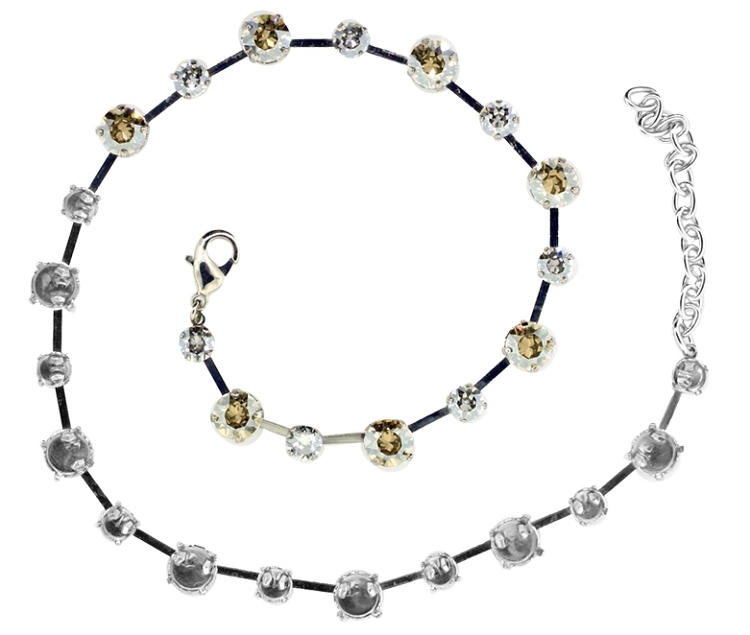 Uses Swarovski crystals 1088 SS29 & SS39 xirius chaton stones. To order Swarovski crystals 1088 SS29 & SS39 stones click here.